The 2017 Maserati Ghibli is now on sale in New Zealand, delivering more technology, more power and greater exclusivity for Maserati’s sports saloon model, following its launch the Paris International Motor Show. When it was launched, the Ghibli offered the highest degree of customization in its segment. The MY17 takes a further step towards satisfying individual tastes with the introduction of two new packages, Luxury and Sport, which enhance the standard features of every Maserati. These packages are designed to appeal to customers with differing tastes. The Luxury and Sport packages personalise the exterior finish and create a focused environment for the driver and passengers. The Luxury package offers two levels with a choice of extended Premium Leather or the Zegna Edition Silk and Premium Leather upholstery. The Luxury package also includes the Harmon Kardon premium sound system, which boasts 10 speakers powered by a 900 watt 12 channel amplifier. Harmon Kardon has been dedicated to producing high fidelity audio equipment for more than 60 years, producing some of the very first high fidelity audio equipment and has produced a long list of audio milestones. The company has designed the new system specifically to match the audio responses of the Ghibli interior. The Sport package reflects the legendary racing heritage of every Maserati and is immediately recognizable thanks to the new sports seats and sports steering wheel with aluminium shift paddles. The Sport Carbon package uses carbon fibre elements to further enhance the Sport package. Across the range the MY17 Ghibli also benefits from interior upgrades. The central dashboard has been redesigned to accommodate a high resolution 8.4” multi touch screen. The new infotainment system is compatible with both Apple CarPlay and Android Auto smartphone mirroring functions. The lower central console has also been redesigned, and now features a rotary knob to control the volume and functions and a new phone storage compartment. All versions of the Ghibli are now equipped with an Air Quality Sensor, a feature which substantially improves passenger comfort. This system combines an intelligent sensor and a signal analysis system which determines the external pollution levels and prevents polluted air and potentially toxic gases from entering the cabin. A new package of Advanced Driver Assistance Systems (ADAS) is available as an option including Adaptive Cruise Control with Stop & Go, Lane Departure Warning, Forward Collision Warning with Advanced Brake Assist and Automated Emergency Braking. An additional Surround View Camera is available as an option in combination with the ADAS package. In terms of engines, both petrol versions, the Ghibli and Ghibli S, feature the acclaimed, Ferrari built, Euro 6, Twin-Turbo 3.0-litre V6 powerplant paired with an eight-speed ZF automatic transmission, which features the Start&Stop function. The Ghibli now delivers 350 hp, 20 hp more than the previous model year, an increased top speed of 267 kmh, and a 0 to 100 kmh time of just 5.5 seconds. The Ghibli S, with its power output of 410 hp, accelerates from 0-100 kmh in 5.0 seconds and reaches a top speed of 285 kmh. 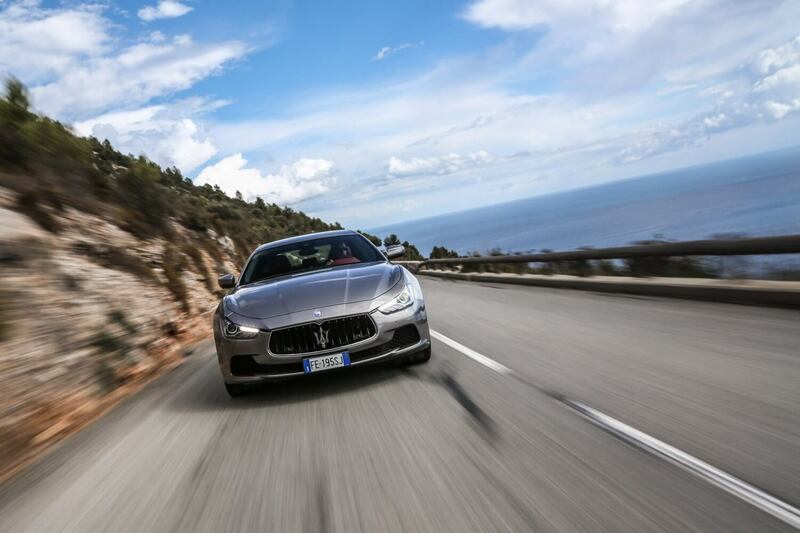 The Ghibli Diesel with its Euro 6, 3.0-litre V6 engine, exclusively developed by Maserati together with VM Motori, generates 275 hp, amongst the best in its class, enabling it to combine a top speed of 250 kmh and the ability to cover the dash to 100 kmh in 6.3 seconds with a combined fuel consumption figure of 5.9 l/100 km and a CO2 figure of 158 grams per km. 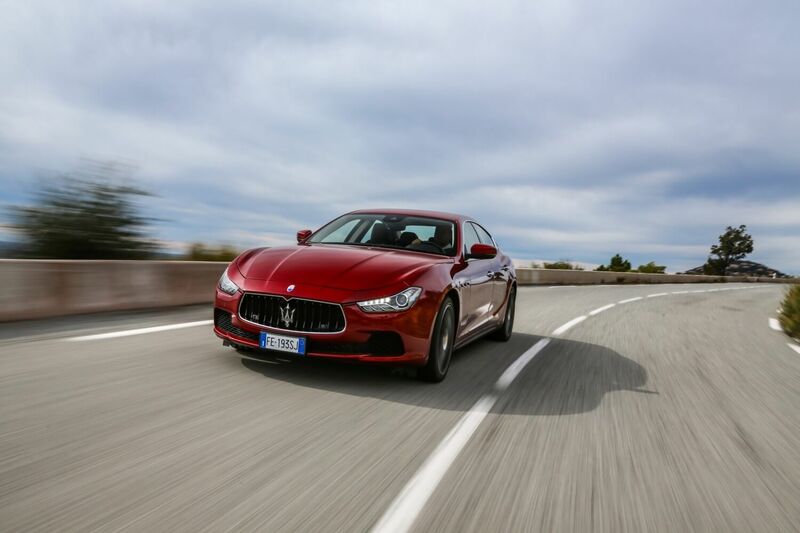 The Ghibli shares parts of its core architecture – chassis, suspension layout, V6 engines and ZF 8-speed automatic transmission – with the Quattroporte. It is, however, 293 mm shorter and 50 kg lighter than the flagship Italian saloon. 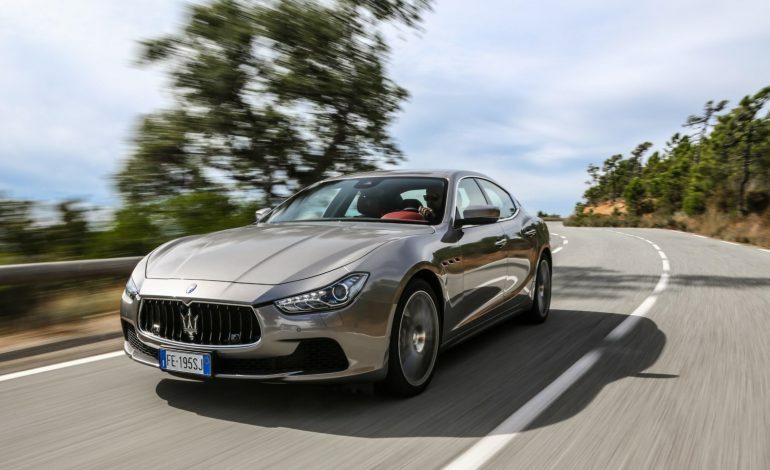 The Ghibli is clearly a new model in its own right in the Maserati range and has a sportier, more-focused and youthful philosophy than the Quattroporte, drawing on the driving involvement of Maserati’s legendary sports and racing cars to provide a more visceral driving experience in a saloon more akin to its sports car range for the first time. Visually the Ghibli’s design team has produced a saloon that emphasizes its more dynamic driving characteristics through a more aggressive visual personality, yet still maintained discernible visual links with the Maserati family. The outline of the body reflects a coupe-like philosophy for the four-door saloon, while there are strong feline hints around the Ghibli’s grille and headlights. The grille takes its inspiration from the current Maserati sports car, the GranTurismo, and it can draw a line back to the classic 1950s A6 GCS. 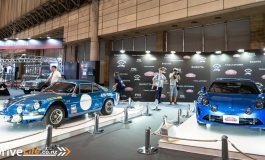 Dynamic and precise handling is guaranteed by the car’s perfectly balanced 50:50 weight distribution, while the sophisticated suspension system – a double-wishbone front suspension and a state-of-the-art five-link rear suspension – and the standard limited slip differential make every ride even more enjoyable. The Ghibli has been awarded a five-star Euro NCAP collision rating, giving the driver and passengers complete peace of mind. The Ghibli also delivers new standards in quality in every area from design, development, fabrication and process controls. It is produced in a new plant that combines Maserati’s traditions of craftsmanship with cutting-edge technologies that are able to guarantee outstanding quality by controlling even the tiniest of details. The 2017 Maserati Ghibli opens with the new 350 bhp Ghibli priced at $135,990 excluding dealer costs and delivery, followed by the Ghibli Diesel priced at $136,990 excluding dealer costs and delivery and the Ghibli S topping the range at $170,990 excluding dealer costs and delivery. *Press Releases are direct from the Manufacturer, and not edited in any way. Previous article The Fate of the Furious - Fast 8 Trailer Has Landed! 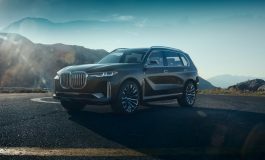 BMW Concept X7 iPerformance. A new dimension in spaciousness.